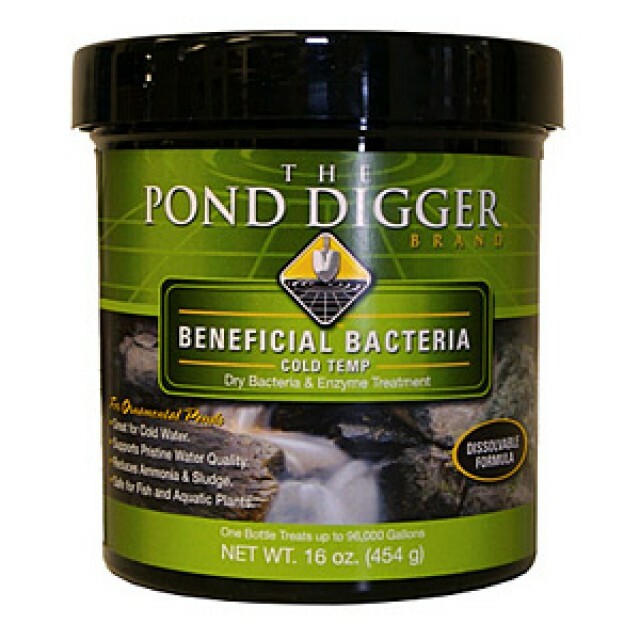 The Pond Digger Brand COLD WATER TEMPERATURE Dry Powdered Bacteria and Enzyme water treatments have been scientifically blended and tested to produce maximum sludge eating, organic reducing results in “ponds, lakes, streams, hybrid Koi ponds and water gardens”. 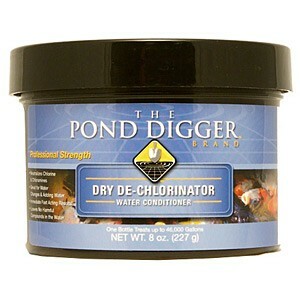 Our personal water treatment line will support clear water, healthy fish and pristine water quality. 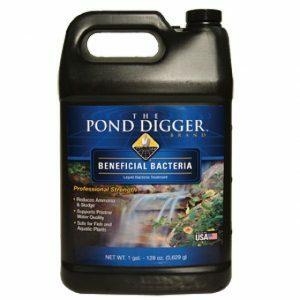 This is the bacteria blend that we recommend for weekly maintenance on waterscapes with water temperatures ranging from 40 – 60 degrees. 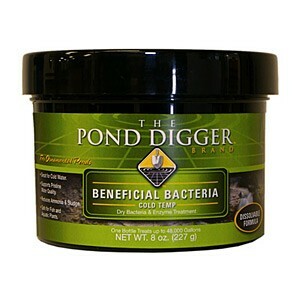 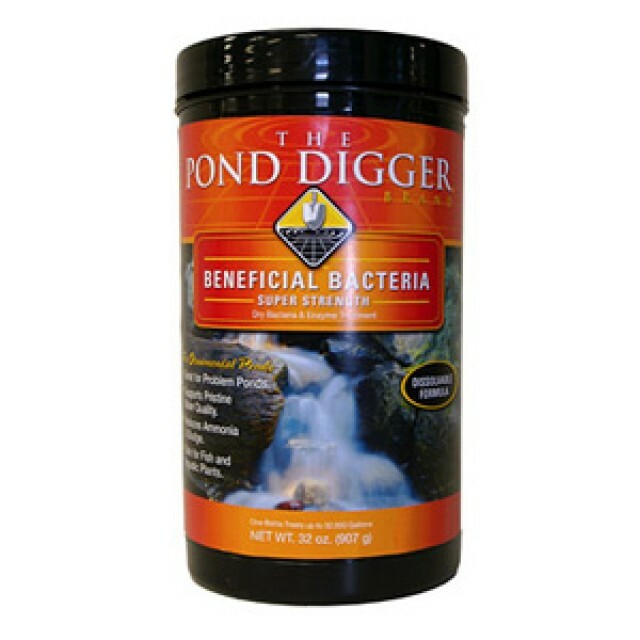 The Pond Digger Brand Beneficial Bacteria is of the highest quality and contains electrolytes, enzymes and highly concentrated pro-biotic microbes that are work horses, endlessly consuming build up & sludge, uneaten fish food, fish waste, and additional excess nutrients such as leaf debris, that cause poor water quality, water clarity and ultimately cause fish disease. 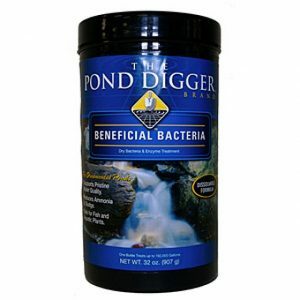 Our beneficial bacteria is a completely DISSOLVABLE PREMIUM BLEND. 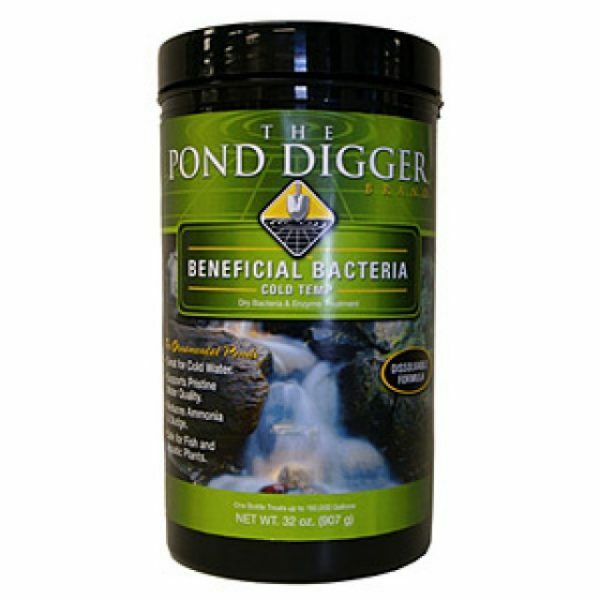 With our beneficial bacteria, you can expect the most concentrated water treatment supplement available in its class, at over 1 billion colony forming units per gram!